REMOVES ODORS CAUSED BY SMOKE DAMAGE, MOLD, MILDEW, PETS AND OTHER SOURCES COMMONLY ENCOUNTERED IN BUILDING MAINTENANCE AND REFURBISHING. 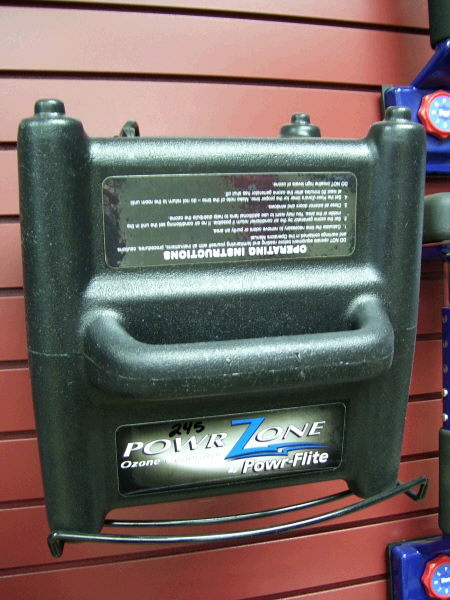 ONLY QUALIFIED PERSONNEL SHOULD OPERATE THE POWR-ZONE GENERATOR!!!! NO PERSON, ANIMAL OR PLANTS SHOULD REMAIN IN AN AREA BEING TREATED WITH THIS EQUIPMENT. PERSONS WITH BREATHING PROBLEMS SHOULD NOT RE-ENTER ROOMS FOR AT LEAST 48 HRS AFTER USE. * Please call us for any questions on our generator ozone rentals in White Oak, Longview, Gilmer, Gladewater, Big Sandy, Kilgore, and all of East Texas.